IPEVO has added a new portable speaker to its range with the launch of the IPEVO Tubular Wireless Speakers. 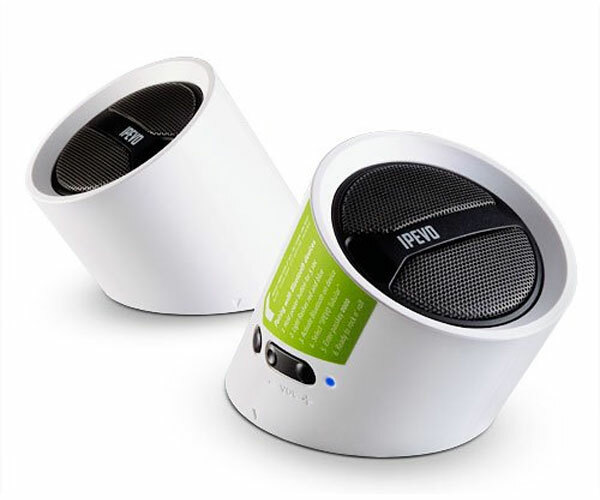 The IPEVO Tubular Wireless Speakers are designed to be used with your iPhone, iPod Touch or any MP3 player with built in Bluetooth, and the system consists of two 3 watt speakers that can be connected for two way stereo sound. The speakers have a built in rechargeable lithium ion battery, which will give you up to eight hours of music playback on a single charge, and it takes just two hours to charge the speakers fully via USB. The IPEVO Tubular Wireless Speakers have a range of up to thirty two feet, about 10 meters, and you can use your music player to control the speakers volume. The IPEVO Tubular Wireless Speakers are available for $79.99 from IPEVO.